Performance 4A have carved a niche within the local theatre scene by means of a fairly specific format: autobiographical shows telling Asian-Australian stories, crafted from spoken narrative, archival audio and projected photos and footage (including The Serpent’s Table; Yasukichi Murakami – Through a Distant Lens and Stories East & West). 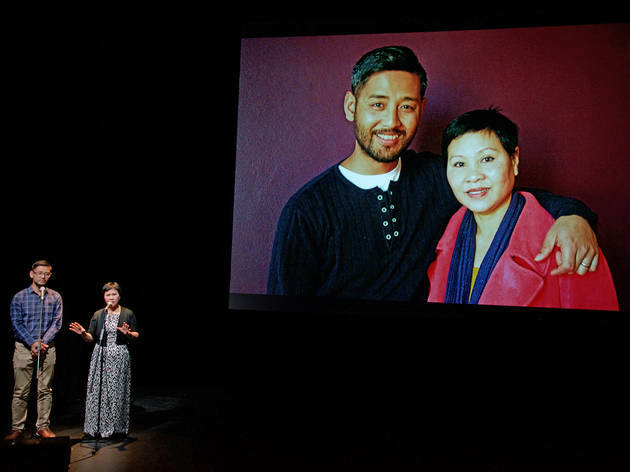 Their most recent production, In Between Two, which premiered at Sydney Festival in January 2016, used spoken word and music to trace the family and personal histories of hip-hop emcee Joelistics (aka Joel Ma) and musician/producer Sietta (James Mangohig). 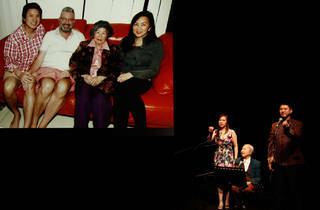 Who Speaks for Me – presented within the National Theatre of Parramatta’s inaugural season – continues that format. Over 75 minutes, it tells three family stories in succession, focusing on language difficulties faced by migrants in a new country. 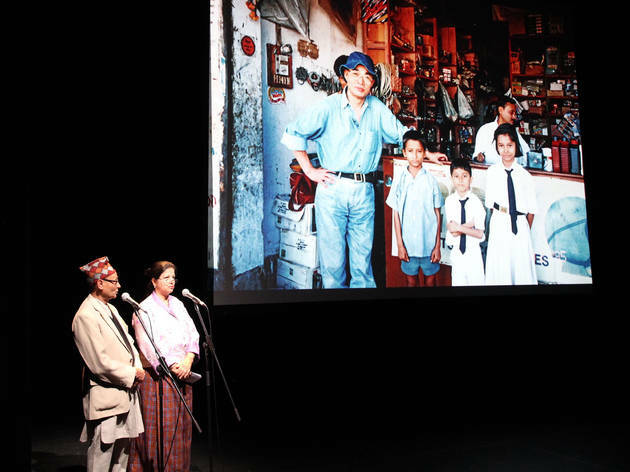 We meet Puspa Lal and Chandra Acharya, a husband and wife who fled Bhutan with their three children after the government expelled all ethnic Nepalis from the country. The Acharyas were in a migrant camp for 17 years before being granted Australian visas, during which time their three young children grew to adults. Then we meet Vietnamese matriarch Bà Quôc Viêt, her daughter Sophie and her grandson William. 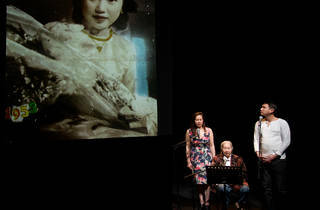 Bà and Sophie left Vietnam by a fishing boat after the VietCong occupation of their village, and were rescued at sea by a US naval ship who took them to a refugee camp in Singapore. They were resettled in Australia in 1983, after which William was born – deaf. Because William only learned English at his special needs school, Sophie translates between Bà, William and his boyfriend Michael. 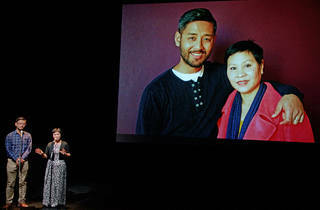 Finally, we meet Vanna and Ly Heang Seang, a mother and son who left Cambodia during the Khmer Rouge’s reign of terror. 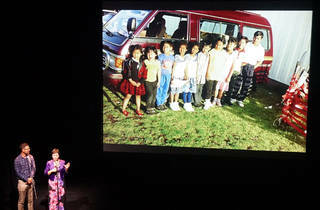 A pregnant Ly Heang, her husband and three small children walked to Thailand – her carrying baby Vanna the whole way. The storytellers perform in English or in their original language, with a family member translating. 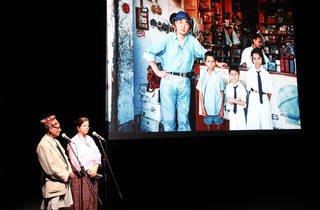 Personal portraits, rare – precious – family snaps and contemporary photographs are screened in tandem with their tales. The evening quickly becomes interactive, as the audience reacts to the stories on stage – there are sharp intakes of breath, laughter, and frequent applause as storytellers recount their personal triumphs. As trite as it sounds: you will laugh and you will cry. 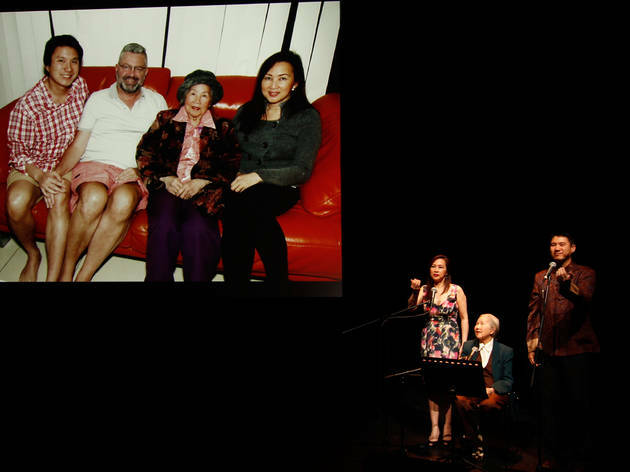 For this reviewer, a photograph of the elderly grandma Bà and William on the set of a marriage equality video was one of the most heartwarming things on stage this year. Kudos to co-directors Annette Shun Wah and William Yang for curating an evening in which stories of strong women shine through. 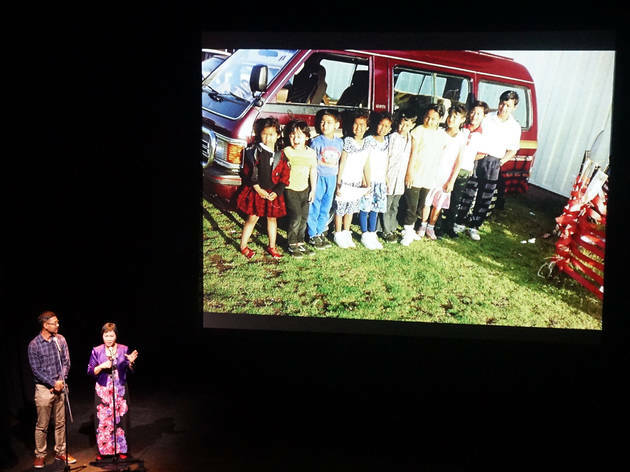 Several were forced to become sole bread winners for the family while caring for young children and adapting to life in a new country, with little-to-no English. Quite simply, these women are incredible. 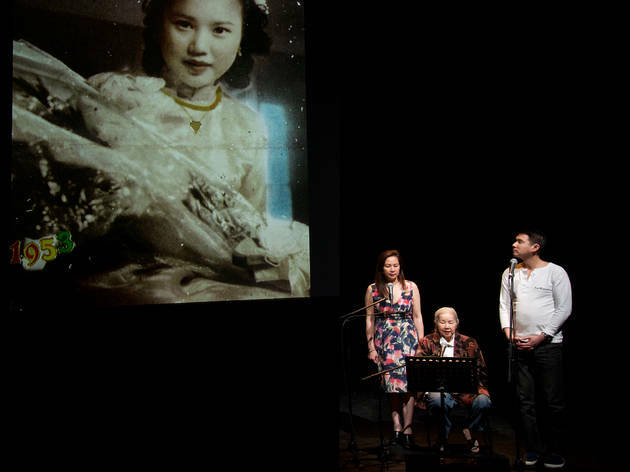 Their stories remind the audience of the resilience at the heart of the refugee and migrant experience.